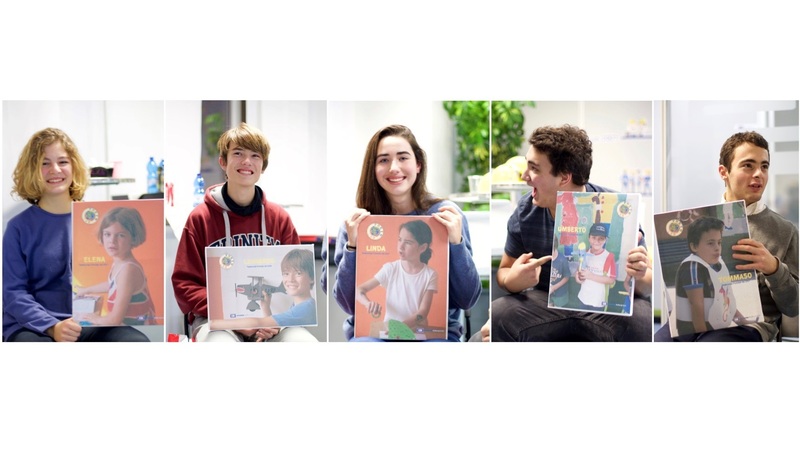 A new diary and many new features for the Porto Lab project including a Youtube channel and an expert available to students and their teachers. The Contship Diary was created in 2006, together with the Porto Lab project, as a way to talk more about what happens inside the port: a world that, for safety reasons, is often closed, accessible only to authorized personnel and insufficiently known by the public, but also very interesting and fascinating. 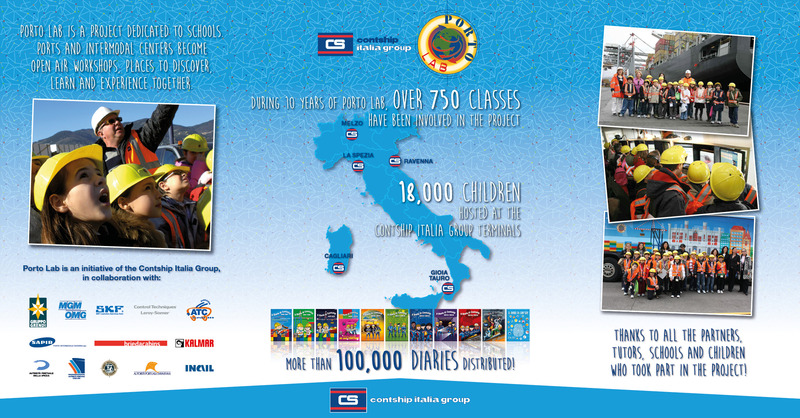 From February to May, every Tuesday and Thursday, since 2006, the Contship Italia Group maritime terminals of La Spezia, Gioia Tauro, Ravenna, Cagliari, and the intermodal center of Milan - Melzo, welcome young primary school students from across Italy and take them on a unique experience. The visit, with an innovative and exciting approach, provides the expertise, values and the contents of the port and intermodal transport, transforming the container terminals into open air workshops. In these 10 years, 850 classes and over 30,000 children, accompanied by their teachers, have been stars for a day in the world of ports and intermodal centers. 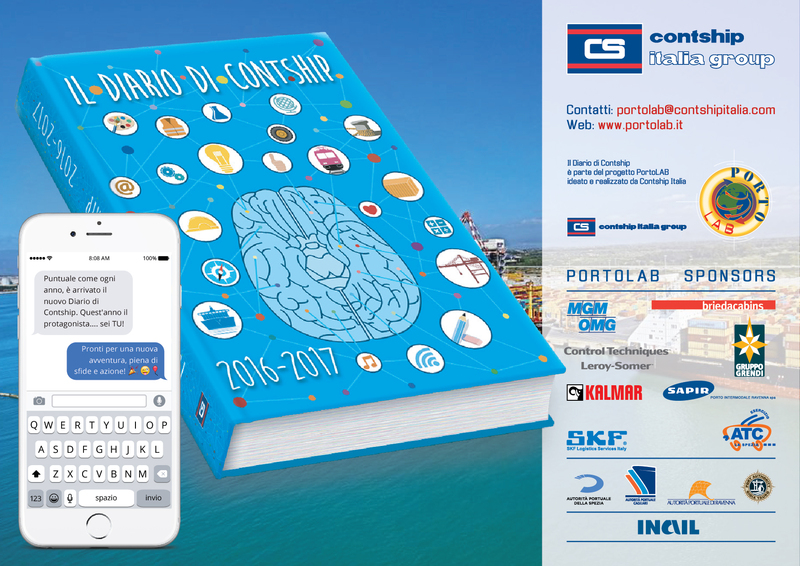 Once again this year the schools that participated in PORTOLAB received the 2016/2017 edition of the Contship Diary: a revamped edition, with new content and colours, a multilingual diary, with interactive and multimedia content. This year’s theme is focused on intuition and reasoning with a Diary filled with exciting challenges. A special attention has been dedicated to the texts in the new edition of the Contship Diary, written in a special font, to be read easily by children with dyslexia. Furthermore, the new website www.portolab.it has been updated with new content, dedicated to the students, to their families and their teachers. A new section also gives the opportunity to contact our expert, ready to answer any questions related to the educational approach of the project and to provide teachers with complementary activities to support each school's curriculum. Porto Lab is also on social media: Facebook, Twitter, Instagram and Youtube, with a dedicated channel through which students will find the answers to the challenges in the diary. Contship Group would like to wish all teachers and students a good start of the school year and to thank the colleagues involved and all project partners: Gruppo Grendi, MGM OMG, SKF Italia, Control Techniques – Leroy Somer, ATC Esercizio, Sapir, Briedacabins, Kalmar, Inail, and the Port Authorities of La Spezia, Gioia Tauro, Ravenna and Cagliari.